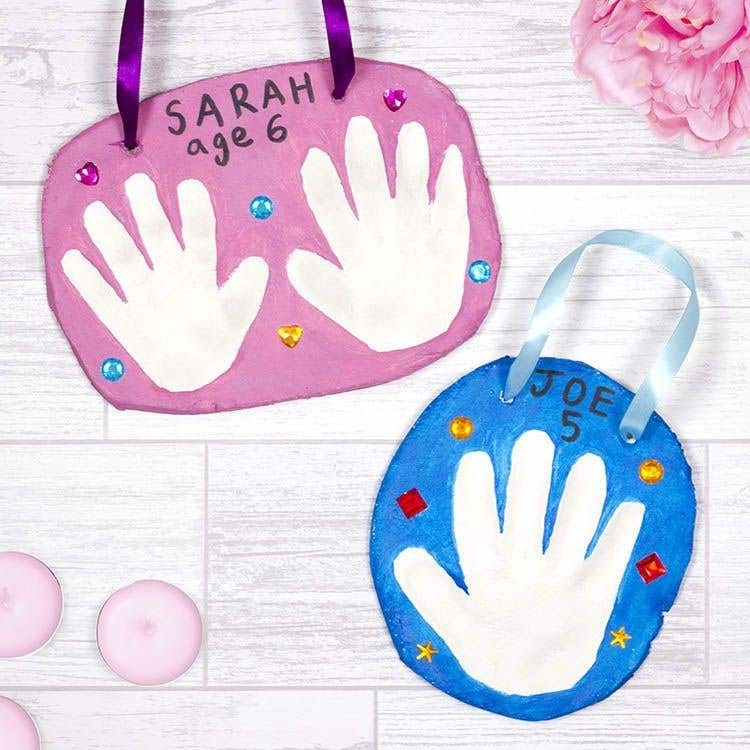 Create lasting memories with these lovely handprint plaques. These plaques make a great keepsake for the children as well as family and friends. 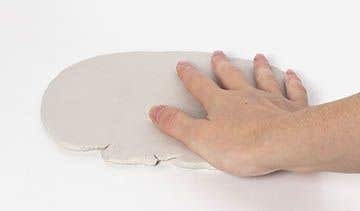 Take approximately half of a pack of air dry clay and roll it flat until it is just less than a centimetre thick. Check that both your hands fit onto the clay. If it isn't big enough, add some more clay and roll flat again. Then cut into a rounded rectangle. Push both your hands onto the clay to create two handprints. Then use a skewer to create two holes in the top of the clay. Leave to dry. 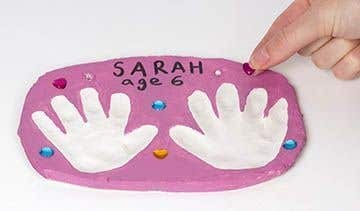 Paint the plaque in a colour of your choice, leaving the handprints unpainted to make them stand out. Once the paint has dried, use a black pen to write your name and age at the top of the clay plaque. Glue on some acrylic gems around the handprints. Then thread some ribbon through the holes and tie the ends together. Leave the clay to dry overnight to ensure it dries out completely.